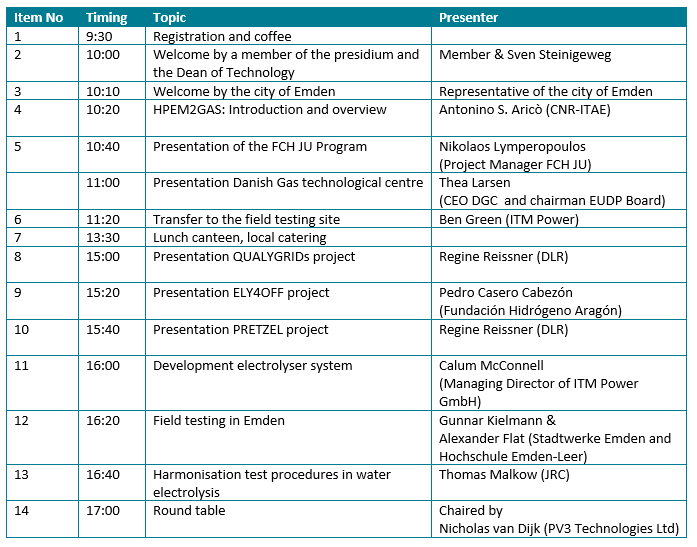 The HPEM2GAS consortium is pleased to invite you to the workshop of the HPEM2GAS project The event will take place on Tuesday, 12 February 2019 in Emden, Germany at the Hochschule Emden-Leer. Click here to register if you would like to join us! Below you can find the agenda and information for the event location of the Project Workshop. Please check this link for directions.